Although I work as a desktop application developer I talked the other day about PHP language with one of my colleagues who is a web developer. Having at home a Windows machine which comes with IIS web server (IIS10 on Win10), I became curious about what would it take to create a simple PHP web application and host it on IIS. 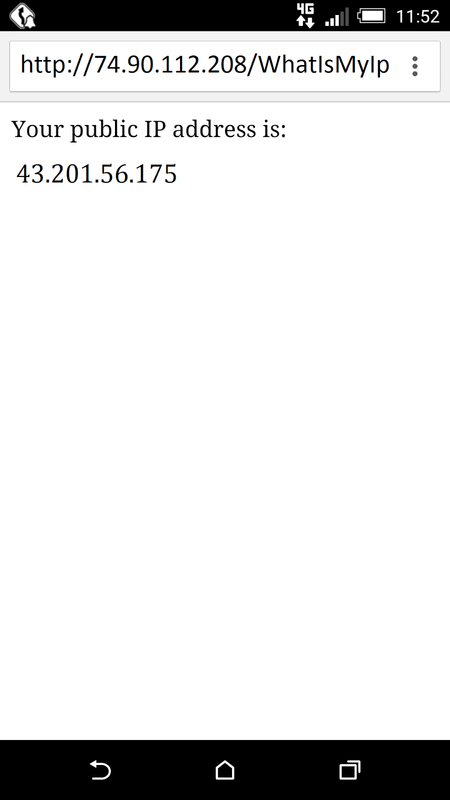 I decided to make a single PHP page which would display the public IP address of the host which sends request. And here we go. I googled for a simple PHP code which echoes the IP address of the client so all credits for the code below go to the guy who answered the following question on StackOverflow: How to get the client IP address in PHP? Index page in PHP world might have a different standard name and I am sure this code should be rearranged and optimized but I am leaving it as it is as my goal is to make fast proof of concept. When IIS receives request for PHP page, it has to forward it to PHP engine which would process it. This engine is actually PHP language binding for FastCGI protocol which comes as an executable (php-cgi.exe) within a PHP pack for Windows which can be downloaded from http://windows.php.net/download/. Side note on that page says "If you are using PHP as FastCGI with IIS you should use the Non-Thread Safe (NTS) versions of PHP." so I downloaded the latest version (php-7.0.6-nts-Win32-VC14-x64.zip at the moment...) and unpacked it into arbitrary location e.g. c:\PHP\php-7.0.6-nts-Win32-VC14-x64\. I am using default port for HTTP traffic (TCP port 80) so this rule will allow all incoming packets destined for IIS host and port 80 to reach IIS process - the one which listens to HTTP requests on that port. If we want to access website hosted on another device within the same LAN we have to know what's its IP address (or hostname if we would set up some DNS resolution within this LAN or on the client device). ipconfig command run on IIS host outputs 192.168.0.3 as its IP. Obviously, all IP addresses we got are their IP addresses within the same LAN because so far both server and clients were on the same network. All devices behind router have the same public IP address which is the WAN (public) address of the router. This address is usually assigned by the ISP. 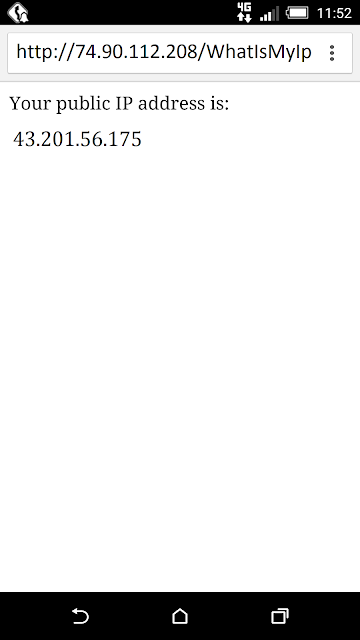 If WAN address of this router is e.g. 74.90.112.208 we can call our web app from e.g. mobile device connected to Internet via mobile 3G or 4G interface by typing in the browser: http://74.90.112.208/WhatIsMyIp.